Samantha studies ballet at the Geneva Dance Center. In 1989, she recieves a scholarship for the School of American Ballet, New-York, where she is the reciepiant of the Mea L. Wien Award for outstanding student. In 1990 she joins the New-York City Ballet, directed by Peter Martins, where she dances numerous roles in Georges Balanchine, Jerome Robbins and Peter Martins's ballets, and works with many guest choreographers such as Twyla Tharp, John Alleyn, Angelin Preljocaj. Samantha was promoted to soloist in 1996. In 2000 she joins Les Ballets de Monte-Carlo as a soloist, under the direction of Jean-Christophe Maillot and interpret major roles of the company's repertoir and dances ballets of different international choreographers such as, Jiri Kylian, William Forsyth, Georges Balanchine, Lucinda Childs, Jereon Verbruggen, Jacopo Godani. In 2007 while still dancing professionnaly, she starts a Pilates instructor training at the Swissbody Pilates Academy in Geneva, Switzerland, and obtains her Pilates instructor diplomas in 2008. Samantha takes the direction of the Geneva Dance Center en 2009, alongside her husband, Julien Bancillon. Julien studies ballet in Lyon, France, where he is the Gold Medalist of the Conservatoire Régional of Lyon in 1992 and 1st Prize winner of the Conservatoire National Supérieur of Lyon in 1995. Julien joins Le Ballet du Grand Théâtre de Genève, under the direction of Giorgio Mancini in 1996 where he is able to dance a large number of ballets for different international choreographers such as, Ohad Naharin, William Forsyth, Jiri Kylian, Nacho Duato, Georges Balanchine, Amanda Miller, Michel Kelemenis, Oscar Araiz, James Kudelka, Rui Horta, and Maguy Marin. In 1999 he joins Les Ballets de Monte-Carlo, under the direction of Jean-Christophe Maillot, where he is promoted to soloist and then pricipal soloist and where he interprets numerous roles of the company's repertoire. 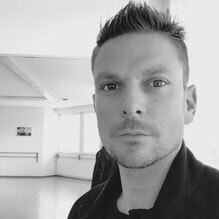 He has the chance to work with many different international choreographers and dances ballets from, Maurice Béjart, Twyla Tharp, William Forsyth, Jiri Kylian, Johan Inger, Gorges Balanchine, Sidi Larbi Cherkaoui, Jacopo Godani, Lucinda Childs, Lionel Hoche, Jereon Verbrugen, Nicolo Fonte. In 2009 he takes the direction of the Geneva Dance Center. After studying at the National Ballet school in Albania, Adrian receives a scholarship to train in the Ballet Junior Geneva under the direction of Beatriz Consuelo. He lives in Geneva since 1996, and since 1999, he works with different companies in Switzerland as well as in foreign countries, such as, the Laura Tanner Company, theAlias Company, the Grand Théâtre de Genève, the Ventura Dance Compagnie, Théâtre Nürnberg la Cie Hermes dance, and Stadttheatre St Gall for 2 years where in 2004 he choreographs a ballet. In 2007 he starts the Company Diade. He joins the Geneva Dance Center as a contemporary teacher in 2015. Céline started her training in Charleroi, Belgium, in classical ballet with Anne Catrie and in modern-jazz with Pierre Drye, and then at the Beaux-Arts with Wojciech Rybak where she will obtein her first opérettes contract. She still continues her training with Charleroi-Danses which has become a modern company. Céline also trains in Brussels with Karmen Larumbe. 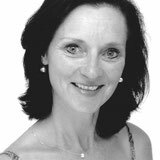 She will dance professsionnaly with different companies in Paris, Séoul, Shanghai and Genva with the « New Sensations » and « La Revue » Since 2004, she teaches, Baby Dance, Initiation to ballet l’éveil, modern-jazz and ballet in Versoix, Nyon, Coppet and Geneva. 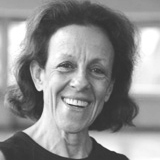 She joins the teacher staff of the Geneva Dance Center in 2018. Born in France, and taught by Raymond Franchetti, Nora Kiss, Gilbert Canova in Paris. As well as Irina Grjibina in Russian characters dance. Veronique danced professionally in France and Germany in a classical and new-classical repertoire, of Roland Petit, Wladimir Skouratoff, from Les Ballet du Marquis de Cuevas, Peter VanDyck amongst others. She toured around Europe and Asia. She obtains her Certificate d'Aptitude and becomes a teacher since 1998. 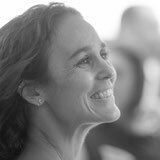 She joins the Geneva Dance Center teacher staff in 2016. Choreographer and dancer, Marine Besnard studied at Danse Area and at the Northern School of Contemporary Dance, in Leeds. She performs for several choreographer such as, Akram Khan, Lea Anderson, Anthony Missen in England and Jessica Kennedy in Dublin. In 2014 she gets her Master in Arts and Culture at the Goldsmiths University in London and founds the Ciemulator Dance Theater, a Geneva born company which performs outside of Geneva. Passionate and enthousiastic, Marine choreographs her first piece, Risk Forward, for the Cerise Festival of Lausanne in october 2014. The choreography is then chosen for the Resolution! Festival 2015 in London. Lately her piece #rencontre has been shown in different iconic places in Geneva. Her company also creates short films on curent thematic. Since 2013, Marine teaches contemporary dance to children and adults and lately she gives workshops to young professionals. She joins the Geneva Dance Center in January 2017.